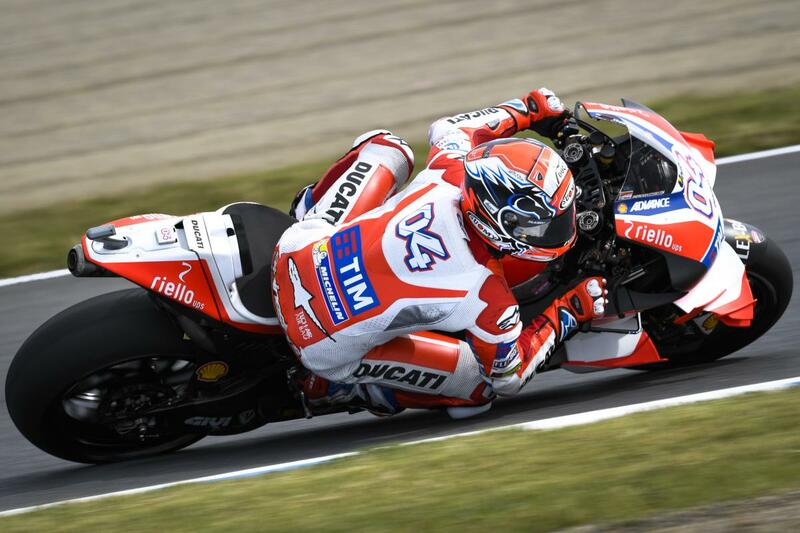 For much of the first Free Practice session at the Motul Grand Prix of Japan, the order mirrored that of the top seven in the title fight – before improvements towards the end of the session saw the pack shuffle slightly and Andrea Dovizioso hit back to take P1. The Italian veteran was on pole at the venue in 2014. 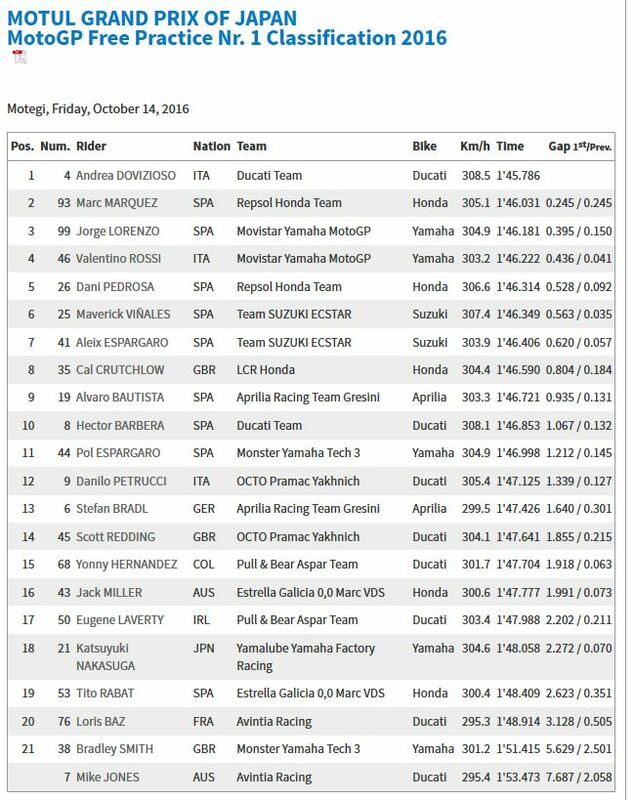 Championship leader Marc Marquez (Repsol Honda Team) lost his lead in the session on ‘Desmo Dovi’’s final lap, ending up P2 ahead of title rival and 2013 and ’14 Motegi winner Jorge Lorenzo (Movistar Yamaha MotoGP). Lorenzo’s teammate Valentino Rossi was fourth quickest, with Motegi’s most successful rider – Repsol Honda’s Dani Pedrosa – completing the top five. Maverick Viñales (Team Suzuki Ecstar) was sixth after suffering some run offs pushing hard at his manufacturer’s home race, just edging teammate Aleix Espargaro – who had been on a hot lap in the final seconds before running into trouble. Cal Crutchlow (LCR Honda) was P7 despite a late crash with no consequence, with Alvaro Bautista impressing for Aprilia Racing Team Gresini in ninth. Hector Barbera (Ducati Team) completed the top ten, as he replaces injured Andrea Iannone in the full Borgo Panigale factory team for the weekend.